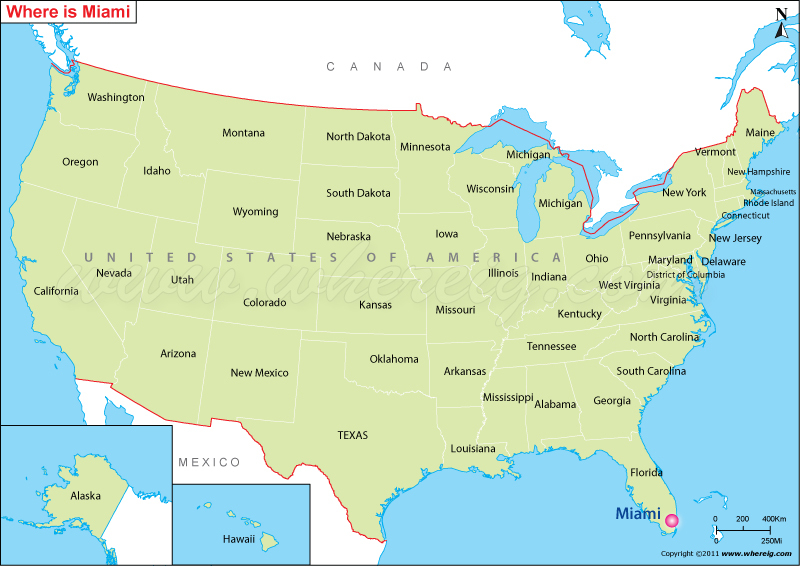 As shown in the given Miami location map that Miami is located in the South-eastern part of United States and south of Florida State. Situated on the Atlantic coast, Miami is one of the leading centers of commerce, finance, culture, entertainment, media, international trade, and fashion. As per the report published in the Forbes Magazine � in the year 2008, Miami was ranked as "the Cleanest City" because of clean air, lush green city, fresh drinking water, and above all city-wide recycling programs. In another report, given by UBS in the year 2009 that studied more than 70 cities, Miami has been given the first rank as the richest city in the United States and fifth richest city in the world in terms of purchasing power parity. Furthermore, Downtown area of Miami along with South Florida are home of the maximum number of international banks in the United States. It also has the centers of many big companies national as well as international. From the last two decades Port of Miami is more popularly recognized as the "Cruise Capital of the World". Moreover, at present, it is the busiest port in terms of passenger traffic and cruise lines both. Miami City is also famous as the tourists where tourists from all over the world come specially to enjoy over the Miami Beach. Location: South-eastern of United States & south of Florida.